History Paripurna- Kidz Care was established in 2003, Paripurna Kidz Cre is a progressive Pre-School with Day care facility for children aged 2-5 years based in Karnataka's capital city Bengaluru.Formulated to fulfil a child's growth needs, Paripurna's teaching methodology is an innovative mix of Play way and Montessori Method. 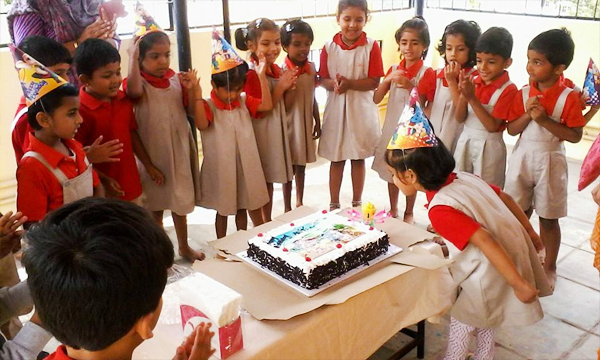 The school at all times endeavours to make learning fun through various child-centric programs and initiatives. GREAT EXPERIENCE OF 10+YEARS IN PRE-SCHOOL OPERATIONS. SELF-DESIGNED CURRICULUM FOR A CHILD'S ALL-ROUND DEVELOPMENT. TRAINING SUPPORT FOR TEACHERS AND STAFF TO ENSURE SMOOTH FRANCHISE OPERATIONS. STRONG AND DEDICATED MANAGEMENT WITH VAST EXPERIENCE IN THE EDUCATION SECTOR. DAILY PERFORMANCE APPROACH WITH DESCRIPTIVE TEACHING METHODOLOGY. OPTIMUM TEACHER:STUDENT RATIO (1:10) PLUS ASSISTANT. AFFORDABLE FEE STRUCTURE COMPARED TO OTHER PRE-SCHOOLS.